Very nice to meet you, wherever you are. 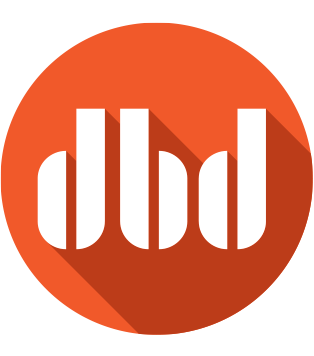 David Bailey Design Co. is a full-service branding, advertising, Website, and marketing company located in beautiful Portland, Oregon. Founded in 2004, we’re currently celebrating 15 years of making our local and national clients very happy. David Bailey is a designer and developer with over 20 years of experience in print, design, marketing, advertising, and website design. In past positions, he has art directed work for such clients as Oral-B, MasterCard, Coca-Cola, and Wells Fargo. Since forming DBD in 2004, David has helped solve the unique design and marketing challenges for a wide range of businesses, big and small. We’re a boutique creative company with a difference – we partner with local talented people with unique technical skills and experience at-the-ready, but not necessarily under our roof. We stay nimble and cost-effective by bringing in this group of experts only when we need them. So, you get the full range of services of a larger agency without the costly overhead – plus you get the hands-on attention that only a smaller agency can give you. But we don’t let it go to our heads. DBD has designed many award-winning and published logos and has been awarded medals in international and local competitions for our package and label designs. David Bailey Design is a proud member of our local community – we give back by supporting local non-profits, including our neighborhood public schools. We pride ourselves on leaving the smallest possible footprint on the planet and strive to help our clients do the same. Whether it is with green printing, online marketing or other advertising channels, we can help you save money and the planet utilizing sustainable business practices. We’re equally at home designing for print and for the web, so we can easily handle every aspect of your marketing or advertising campaign.